Dr. Hazafi offers courses on the bachelor, master and PhD levels on civil service law, the European dimensions of the civil servants’ career and the civil service systems of the European Union and of the member states. His research fields include civil service law, European and national personnel policies. 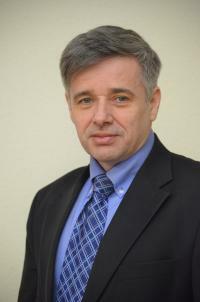 He is also the member of two editorial boards: Pro Publico Bono – Hungarian Public Administration Journal and the New Hungarian Public Administration Journal. Office: H-1083 Budapest, Üllői út 82., Educational Building, Office 445. The mission of the Institute is to promote the development of inter-traffic among public service career models and the creation of effective and quality-based personnel opportunities supporting a value-based public service system. The strategic goals include the constant progress in human manager training and public service career path management so as to enhance the efficiency of human resource operations and the extensive adaptation of strategic HR management. The Institute manages 37 courses – some of them are offered in English. The Institute is committed to effective, up-to-date and interactive teaching methods. The Institute is actively involved in various professional Life Long Learning training programmes offered for civil servants. The Institute integrates two distinct but interrelated fields: Legal Studies (Public Service Law and Labour Law) and Human Resource Management. The main fields of research of the Institute are as follows: labour law and public service law; comparative (EU and international) public service law, strategic HRM planning; performance management, coaching.